Thank you for the great experience whitewater rafting. This was both families first time and can’t think of a better way to celebrate Ashley’s 14th Birthday. All of the kids enjoyed the exciting adventure and the parents felt everything was safe. Not only did we have a lot of fun, but we also learned a little bit about the area and how to whitewater raft. Special thanks to Greg & Pat. I would recommend Lawson Adventure Park to anyone that wants to have some outdoor fun. 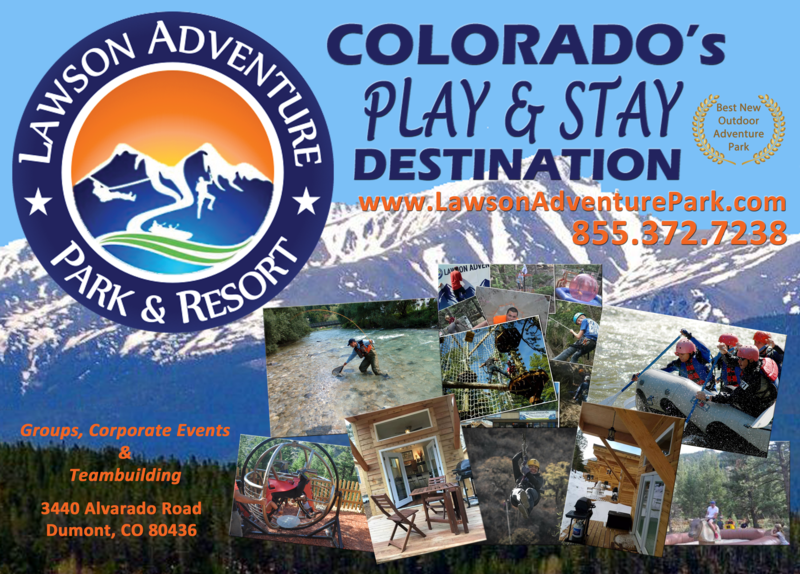 We are family-friendly outdoor adventure park destination in the heart of the Colorado Rockies. Our activity and lodging facilities cover over 40 acres in beautiful Clear Creek County. Lawson Adventure Park offers ziplines, zorbs, challenge course, disc golf, and many other exciting activities for day use or you can stay in our beautiful cabins or yurts and enjoy our facilities for a weekend or longer! Our goal is to be an easily accessible atmosphere of fun and excitement for the entire family, group or corporate team, with activities designed to please the local residents, and visitors to our state. Come for the day or stay overnight! Onsite Cabin & Yurt Lodging! Fully furnished cabins comfortably sleep a couple or your family. Furnished and heated yurts are an exciting adventure for all ages. RV hookups and tent sites are available as well. What better way to spend your vacation! Whitewater rafting, zorbs, disc golf, climbing wall, mechanical bull, ziplines and many other unique activities will thrill all ages and abilities. Explore the natural elements that make our location perfect for our one of a kind via Feratta, zipline and challenge course. Our stunning rock formations and lush forests are the ideal setting for many outdoor adventures.